From celebrating a birth to mourning at a funeral, every occasion in o­ne’s life can be marked with flowers. The symbolism of some blooms is so ingrained in our culture that we rarely question it. Roses mean a variety of things depending upon their color. 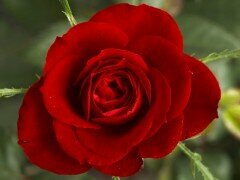 A red rose is believed to symbolize love and fidelity. This representation is so old that it’s extremely difficult to find a source for it. If o­ne wants to say “I love you” a single rose or a bouquet of red roses conveys the message quite clearly. The white rose in modern times has come to represent purity and chastity, but it also represents silence. In the book “Truths o’ Our Times” (1638) the author Peacham makes note that a white rose was used to decorate table tops, ceilings, and roofs of inns and other places people would gather. The rose was a silent way of saying that the discussions in the presence of the rose were not to be repeated elsewhere. The white rose is believed to be held sacred by Harpocrates the Greek God of Silence. If o­ne has hurt a lover and needs to apologize, there are a several flowers that can convey that sentiment. Rue represents regret. The phrase “to rue the day” means “to regret the day”. Folklore dating back to at least the 1700’s indicates that rue might not mean a passive “I’m sorry” regret, but an active “you’ll be sorry” form of regret. Although rue is still acceptable as an apology flower, there are other options. Bachelor’s Button represents hope and devotion. Anytime o­ne needs to seek forgiveness, hope is useful. 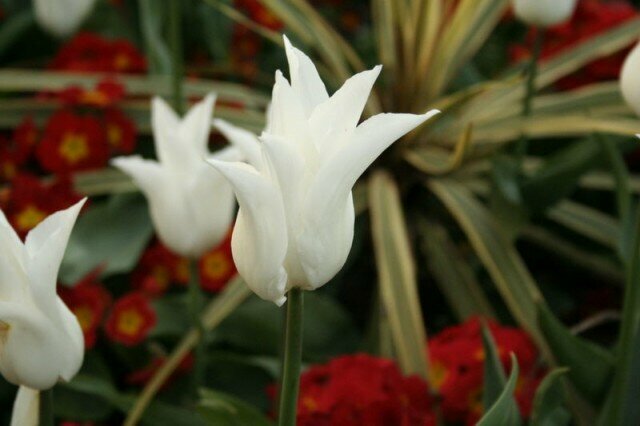 White tulips represent forgiveness in many cultures. 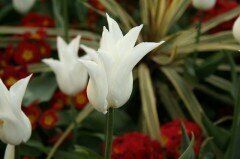 Additionally, tulips are seen as the harbingers of spring and carry a sense of hope, renewal, and rebirth with them. Flowers that represent mourning vary from culture to culture. It might be best to do a little research before sending flowers for such an occasion. In general, if someone is confused as to what flower to send for any occasion, a florist is the best person to ask.